Why is Hyperthermia often used in combination with immune therapies? Hyperthermia enhances immune responses and potentiates cancer treatment. Our Japan-based immune-therapist and his team are experienced and well published on the positive effects of hyperthermia on anti-cancer immune responses that can be achieved especially when the host immune system is functioning adequately. For this reason many patients; both early in diagnosis or, even patients with advanced cancer; choose to have cell–based immune therapies BEFORE they begin a chemotherapy or chemo radio-therapy program. In cancer patients, the number & activity of immune cells are often decreased due to immuno-suppression by the cancer itself as well as by (often) necessary therapeutic treatments such as chemotherapy & radiation. Under such circumstances, hyperthermia should be combined with immune-potentiation in order to increase activity of anti-cancer cytotoxic immune cells & exert value-add synergistic effects. 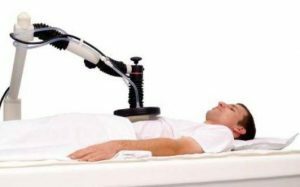 Hyperthermia treatments can also be used in combination with other cancer treatments. NK cells harvested from the patient by apheresis & safely expanded in the laboratory, possess high numbers of activating NK receptors. These receive strong activation signals from NK activation ligands expressed in abundance on fever-range hyperthermia–treated cancer cells – leading to aggressive attacks on cancer cells. ** Heat shock Protein – a protein induced in a living cell in response to a rise in temperature above the normal level. Hyperthermia as a value add healing modality has a long in history in Europe, especially Germany. Research on hyperthermia in Japan was started by the Hyperthermia Study Group in 1978; then the Japanese Society of Hyperthermic Oncology (JSHO) was established. Supported by the Japanese Government and intensively researched; access to hyperthermia for clinical use in patients in Japan has been available for some time. Hyperthermia can be targeted or delivered locally by means of heated pads or delivered to a patient’s whole body. Whole body hyperthermia is a very intensive procedure and must be delivered with skill and experience. Our colleagues also utilise other heat producing non-radiation methods of hyperthermia including microwave heating equipment & radiofrequency (RF) capacitive heating equipment. CLICK HERE FOR GOVT STUDY - Abstract: "The use of hyperthermia as an adjunct to cancer immunotherapy is supported by an increasing number of research data. Both preclinical and clinical data results have demonstrated improved antitumor immune responses with the addition of mild hyperthermia." 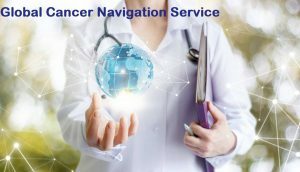 The Cancer Navigator fills many job descriptions while helping patients access overseas cancer treatments such as – immune therapies, hyperthermia, proton beam therapy and other advanced cancer technologies. Organise responsible case managed travel and treatment to give you the best options and therapeutic edge for surviving and thriving after cancer. 2. Assessment: You need to be in good condition to travel and tumour load must be carefully assessed. This is done via your detailed medical history and treatment summary. Our doctors here in Australia and in Asia will collaborate; increasing the safety margin for you the patient. Our criteria for helping you access these state of the art therapies is the requirement of professional case management which we deem essential for patients who are considering personalised vaccine treatment. 3. We help you identify whether or not vaccine therapy is contraindicated for you. For those whose health situation may be not be suitable for vaccine treatment, we offer a referral system to professionally delivered hyperthermia in Malaysia overseen by a skilled oncologist and his team. Hyperthermia can also be given in combination with Chemotherapy when required. 4. We refer you to our colleagues providing a detailed letter of introduction and summary of your cancer history along with any other relevant health history; medications and other known health conditions. 5. Then we case manage you along the way and collaborate with doctors and researchers on your behalf as well as assisting you on return. We also provide technical information to your doctors and oncologists about your immunotherapy treatment. Conventional cancer treatments can sometime leave survivors with long term health issues. These may included compromised immunity – especially the part of the immune system that creates & hosts our cancer fighting cells e.g. NK cells, T-cells & dendritic cells. Therefore – personalised immune therapies that can boost your own immune system by using your own white cells make a lot of sense. Of course, we have scoured the world for the best immune therapy doctors with longevity in the field. Not all cell vaccines are the same and not all doctors are experienced and qualified – so I advise caution. Once again – we strongly advise that that you DO NOT try to do your own research and self-refer. * There are many considerations before travelling to Asia for treatment. Our Grace Gawler Institute Directors have the experience, expertise and knowledge of global travel for cancer treatment. You should ONLY embark upon treatment with vaccines and hyperthermia once you have been fully briefed and informed. Because of our experience & long term management skills knowledge, we offer a high safety margin. * Unlike live-in Clinics and hospitals in Germany and Mexico that can cost a lot of money as well as travel stress and DVT risks due to long haul flights; personalised vaccine treatments in combination with hyperthermia; won’t break the bank! Day Clinics take care of your medical needs, vaccine delivery and possibly other prescribed medications. You return to your hotel when treatment has concluded. We recommend that patients always travel with a family member when embarking upon cancer treatment overseas. The benefits of adding cancer vaccines & hyperthermia to your other treatment protocols. 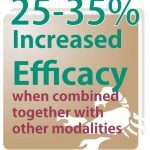 *You can value add 25%- 35% effectiveness to other treatments by using immunotherapy. From 2004 until now (2018) our colleagues cite more than 5000 patients who have been administered with their own NK cells, CTLs, DCs etc. *For example – between July 2005 and November 2013 – 1,939 patients with advanced or recurrent cancer were treated using hyperthermia and or immunotherapy. Standard therapy showed no effect or was refused by these patients. *There were 309 (15.9%) patients who experienced a clinical benefit (complete response [CR], partial response [PR], and long-term stable disease [SD], >6 months), including 52 CR cases. *The effective rate of immunotherapy increased from 9.9%to 19.1%using hyperthermia. *The effective rate for patients with hyperthermia-alone was 3.6%, and skin and regional lymph node metastases disappeared. Immunotherapy alone was effective for liver or lung metastases. Combined hyperthermia & immunotherapy had a beneficial effect on multiple metastases observed in important plural solid organs. Ovarian cancer – highest effective rate (25.0%), followed by prostate cancer.